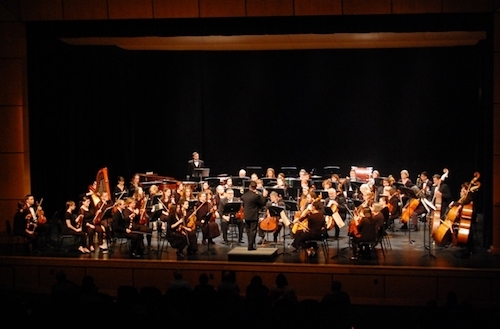 The fall concert of the Southern Maine Symphony Orchestra will feature its conductor, Robert Lehmann, also a violin soloist, performing Brahms’ Violin Concerto in D major, op 77. The concert will be held on Saturday, November 10 at 2:00 p.m. at the Westbrook Performing Arts Center, 71 Stroudwater Street, in Westbrook. Lehmann is Professor of Music and Director of Strings and Orchestral Activities at the University of Southern Maine School of Music, the conductor of the Portland Youth Symphony Orchestra, and the Music Director of the North Shore Philharmonic Orchestra, as well as the White Mountain Bach Festival in New Hampshire. Lehmann spent his sabbatical last spring studying this piece, one of the 'Top 5' violin concertos of all time. He continues, "The solo violin part is given an elegant filigree, delicately ornamenting the theme. This enchanting movement may perhaps be viewed as a touching and intimate peek into the composers complex feelings about the love and friendship of the three most important people in his life; his friend Joachim, his mentor Robert Schumann, and his muse, Clara Schumann." Lehmann was also thrilled to be able to capitalize on being able to work with his second-year graduate student, Ben David Richmond, who will conduct the Brahms while Lehmann plays. Richmond is working toward his Master of Music in Conducting at the School of Music, and he will open the concert with a Mozart overture, and Lehmann will then take the podium for Beethoven's 8th Symphony. "Learning to accompany a soloist is one of the hardest skills to master as a young conductor and usually one that comes with very limited rehearsal time. Ben and I have been able to work together to prepare the work and I have been able to attend multiple rehearsals so that we have time to work and discuss our work together,” said Lehmann. 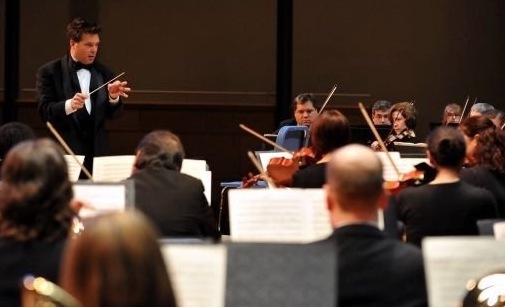 In addition to the performance at USM, Lehmann will perform this two more times, with his other orchestra, the North Shore Philharmonic, in Massachusetts on November 18, and again in February with the Salem, MA Philharmonic where he will be joined with the Salem Youth Orchestra. Tickets are $8 for adults, $5 for students, seniors, USM employees and alumni. To purchase tickets, call the Music Box Office: (207) 780-5555 // TTY: 780-5646, or purchase tickets online at www.usm.maine.edu/music/boxoffice.